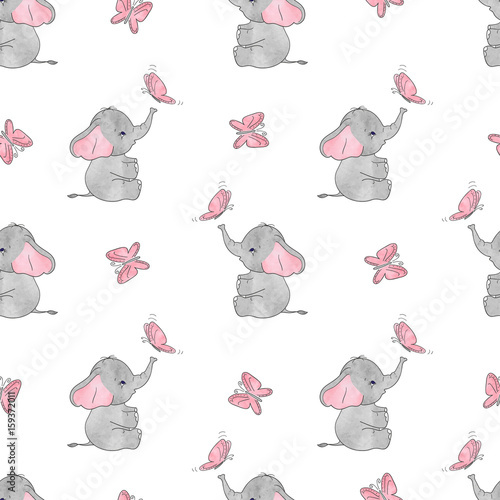 Seamless pattern with cute elephants and butterflies. Vector background for kids design. Baby print.